These profiles have not been updated. The information is only accurate as of the original date of publication. The fund seeks long-term capital appreciation by investing, mostly, in US stocks of various sizes, though it is likely to hold small and mid-cap stocks more frequently than large cap ones. The fund may also invest in “other equity-like instruments.” The manager looks for companies with good management teams (those with “a history of treating public shareholders like partners”), little reliance on debt markets and above-average returns on equity. Once they find such companies, they wait until the stock sells at a discount to “a conservative estimate of the company’s intrinsic value.” The Fund is non-diversified, with both a compact portfolio (25 or so names) and a willingness to put a lot of money (often three or four times more than a “neutral weighting” would suggest) in a few sectors. Akre Capital Management, LLC, an independent Registered Investment Advisor located in Middleburg, VA. Mr. Akre, the founder of the firm, has been managing portfolios since 1986, and has worked in the industry for over 40 years. At 12/30/09, the firm had over $500 million in assets under management split between Akre Capital Management, which handles the firm’s separately managed accounts ($1 million minimum), a couple hedge funds, and Akre Focus Fund. Mr. Akre founded ACM in 1989, while his business partners went on to form FBR. As a business development move, it operated it as part of Friedman, Billings, Ramsey & Co. from 1993 – 1999 then, in 2000, ACM again became independent. Charles Akre, who is also CEO of Akre Capital Management. Mr. Akre has been in the securities business since 1968 and was the sole manager of FBR Focus (FBRVX) from its inception in 1996 to mid-2009. He holds a BA in English Literature from American University, which I mention as part of my ongoing plug for a liberal arts education. 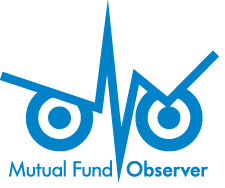 August 31, 2009 though the FBR Focus fund, which Mr. Akre managed in the same style, launched on December 31, 1996. $2,000 for regular accounts, $1000 for IRAs and accounts set up with automatic investing plans. 1.46% on assets of about $150 million. There’s also a 1.00% redemption fee on shares held less than 30 days. In 1997, Mr. Akre became of founding manager of FBR Small Cap Growth – Value fund, which became FBR Small Cap Value, the FBR Small Cap, and finally FBR Focus (FBRVX). Across the years and despite many names, he applied the same investment strategy that now drives Akre Focus. We look for companies with a history of above average return on owner’s capital and, in our assessment, the ability to continue delivering above average returns going forward. Investors who want returns that are better than average need to invest in businesses that are better than average. This is the pond we seek to fish in. We insist on investing only with firms whose management has demonstrated an acute focus on acting in the best interest of all shareholders. Managers must demonstrate expertise in managing the business through various economic conditions, and we evaluate what they do, say and write for demonstrations of integrity and acting in the interest of shareholders. We strive to find businesses that, through the nature of the business or skill of the manager, present clear opportunities for reinvestment in the business that will deliver above average returns on those investments. Whether looking at competitors, suppliers, industry specialists or management, we assess the future prospects for business growth and seek out firms that have clear paths to continued success. It tends to make concentrated bets. He’s had as much as a third of the portfolio in just two industries (gaming and entertainment) and his sector weightings are dramatically different from those of his peers or the S&P500. It tends to stick with its investments. Having chosen carefully, Mr. Akre tends to wait patiently for an investment to pay off. In the past ten years, FBRVX never had a turnover ratio above 26% and often enough it was in the single digits. It tends to have huge cash reserves when the market is making Mr. Akre queasy. From 2001 – 04, FBRVX’s portfolio averaged 33.5% cash – and crushed the competition. It was in the top 2% of its peer group in three of those four years and well above average in the fourth year. WMS Industries, a slot machine manufacturer. He’s been traditionally impressed by the economics of the gaming industry but with the number of casino visits and spending per visit both down dramatically, his attention has switched from domestic casino operators to game equipment manufacturers who serve a worldwide clientele. By contrast, long-time FBRVX holding Penn National Gaming – which operates racetracks and casinos – is a “dramatically smaller” slice of AKREX’s portfolio. optionsXpress, an online broker that allows retail investors to leverage or hedge their market exposure. Potential investors need to be aware of two issues. First, despite Morningstar’s “below average” to “low” risk grades, the fund is not likely to be mild-mannered. FBRVX has trailed its peer group – often substantially – in four of the past ten years. If benchmarked against Vanguard’s Midcap Index fund (VIMSX), the same thing would be true of Mr. Akre’s private account composite. Over longer periods, though, his returns have been very solid. Over the past decade returns for FBRVX (11% annually, as of 12/31/09) more than doubled its average peer’s return while his separate accounts (8%) earned about a third more than VIMSX (6%) and trounced the S&P500 (-1.0%). Second, Mr. Akre, at age 67, is probably . . . uhhh, in the second half of his investing career. Marty Whitman, Third Avenue Value’s peerless 83-year-old star manager, spits in my general direction for mentioning it. Ralph Wanger, who managed Acorn (ACRNX) to age 70 and won Morningstar’s first “fund manager lifetime achievement award” in the year of his retirement from the fund, might do the same – but less vehemently. Mr. Akre was certainly full of piss and vinegar during our chat and the new challenge of building AKREX as an independent fund is sure to be invigorating. Partnership is important to Mr. Akre. He looks for it in his business relationships, in his personal life, and in his investments. Folks who accept the challenge of being Mr. Akre’s partner – that is, investors who are going to stay with him – are apt to find themselves well-rewarded. This entry was posted in Old Profile on January 2, 2012 by Editor.